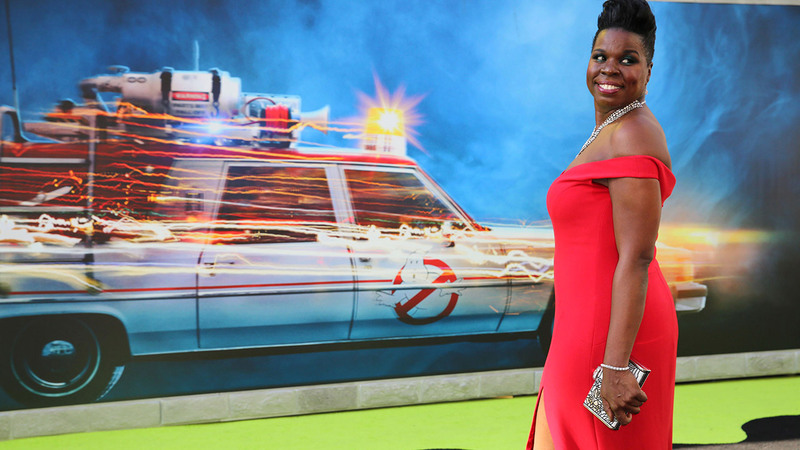 LOS ANGELES, CA -- "Ghostbusters" and "Saturday Night Live" star Leslie Jones took to Twitter on Monday to expose the racist and misogynistic tweets people have sent her. "Ghostbusters" opened in theaters over the weekend and took home $46 million, claiming the second spot at the box office. But that didn't stop trolls from attacking Jones. Jones, under the Twitter handle @Lesdoggg, was blocking scores of accounts that were sending hateful tweets her way, but then decided to take a different route. "You know I'm gonna stop blocking so y'all can go through my feed yourself and see the bs. You won't believe the evil. It's f**king scary," Jones tweeted. What followed were dozens of tweets with screenshots of racist and misogynistic messages aimed at Jones. NOTE: ABC7 has made an editorial decision to not show the tweets due to their inappropriate and graphic language. You have to hate yourself to putout that type of hate. I mean on my worst day I can't think of this type of hate to put out. Someone also appeared to create a fake account appearing to be Jones, which was used to send out hate-filled messages. While the hateful messages flew at Jones, hundreds began backing her up and the hashtag #LoveForLeslieJ started trending. Under Twitter's current rules, the term "hate speech" is not even mentioned and tweets are allowed as long as they don't make threats of violence, promote violence or engage in the targeted abuse or harassment of others. Profiles that some of these people are crazy sick. It's not enough to freeze Acct. They should be reported. In a series of tweets, Jones wrote, "Twitter I understand you got free speech I get it. But there has to be some guidelines when you let spread like that. You can see on the...Profiles that some of these people are crazy sick. It's not enough to freeze Acct. They should be reported."